We are a member organization for martial artists of all disciplines, styles, and levels. We are founded on the principles and ideals of Grandmaster Robert A. Trias and Master James H. Hawkes. 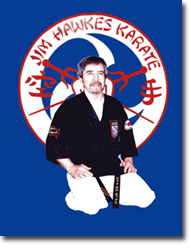 The organization was established by Mrs. Sue Hawkes, wife of the late James H. Hawkes, at the request and with the blessings of numerous highly regarded martial artists from across the country in order to preserve the vision of Master James Hawkes and Grandmaster Robert Trias. The association provides a venue for martial artists to come together to share ideas, further their knowledge through seminars, receive recognition of individual accomplishments, and to compete in a fair and safe environment. In order to provide a standard of judging at our tournaments based on integrity and safety for all competitors, our tournament officials are offered continuous training on our rules and regulations and undergo certification classes. An individual membership with the U.S. Association of Martial Artists includes internationally-recognized rank certification upon approval, a membership card, and a patch. Members may compete in our National Tournament Points Competition if they so choose, and have access to an International Network of Martial Arts Schools. In some cases, such as the passing of an instructor, rank testing may be available. An individual member of the Association may apply to test for Instructor Certification after they have achieved a rank of 4th Degree Black Belt and it has been approved. We offer three levels of school memberships to fill our various members’ needs. The three levels of school memberships are Bronze, Silver, and Gold. The Bronze member schools will be listed on our International School Network page of our website. The Silver member schools are listed on the website; additionally, they may participate in our National Competitive Team of the Year as well as National School of the Year. The Gold membership includes Discounts on their Student’s Memberships, the ability to sanction tournaments with the Association, the chief instructor’s individual membership, and once approved, we acknowledge the rank standards set by the school’s chief instructor, allowing their student’s rank to also be recognized as well as receiving all the benefits of the Silver and Bronze memberships. As a multi-discipline, multi-style organization, we appeal to practitioners of the traditional martial arts as well as the many-faceted eclectic martial arts. Our vision is to embrace traditional karate with a modern approach and allow for the natural evolution of martial arts in a positive direction. Thank you for taking the time to look at the benefits of membership with the U.S. Association of Martial Artists. We value your input and look forward to meeting you. SENSEI WAS MARTIAL ARTS PIONEER IN U.S.